This coming spring, I will be introducing the zoology album of Montessori early childhood to Vito. We did a couple of animal study last year but it was mainly for introduction and familiarization. 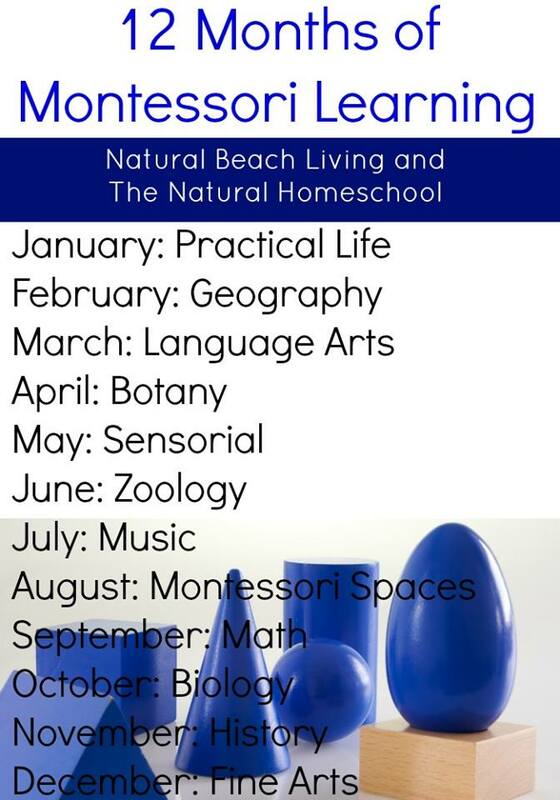 This year, our homeschool activities will be in line with the album I bought from Montessori Parent. Of course, I will not follow the album word by word as I try not to replicate the Montessori classroom in our home and I don’t possess other classroom materials. But it will still be spontaneous and hands-on. In this post I will talk about the album, the materials I prepared, and my plans on how we are going to approach the “hands-on” aspect of the study. There’s nothing more interesting for my three years old than learning about animals. Aside from learning about the continents they live in, my boys also love to identify animals according to their names and classifications. Initially, Vito can only tell the difference between birds and fish, the rest he calls them “animals”. So I decided to expand this knowledge further by introducing the other three classifications: mammals, reptiles and amphibians. My 8 year old Mavi is into sharks nowadays and asked if we can do a study about them. The last time we had a shark study was years ago, when he was 4 years old and this time he wanted to use our Shark Anatomy Model which he recently bought. This is Vito’s very first shark activity and he had so much fun learning with his big brother. I had two presentations for the land, water, and air animals. I first showed Vito what’s land, water, and air animals. We worked with action songs to demonstrate how animals move in land, water, and air. After I presented the pictures and the trays, Vito sorted out the animal figures I prepared for him. My boys love animal covers! We used this whenever we want to play around with or beautiful animals from Schleich or whenever Mavi wants to replicate them through drawing. No school for Mavi means brainstorming for future activities. He opened up lately that he wanted to study about animals again, so I took out our cards on The Animal Kingdom and checked what else we missed and haven’t explored yet. He reviewed the cards and sorted out the things that he wanted to learn this year. He picked arthropods, starfish and jellyfish! Yay, something new! If you are in the UK or Ireland, you must have heard of Steve Backshall and his animal shows like the Deadly 60. Mavi is obsessed with Steve, due to his witty and pleasant hosting of the show. You can learn about it here. Now, going back, he’s been featuring reptiles lately, mostly how dinosaurs evolved into crocodiles, birds, snakes etc. What are Reptiles? We learned from our previous study of the Vertebrate animals that REPTILES have a covering of bony plates or scales. They vary in sizes and shapes and include forms like snakes, alligators, crocodiles, turtles and lizards. Reptiles make their homes in great variety of places . In this post, I will be focusing on snakes, as Mavi and I had a brief discussion about them a few days ago. This is the book we’ve got of Steve Backshall and we used it as a reference. We had a few snake figures from Safari Ltd Reptiles TOOB . Snakes’ coverings are dry with perfectly dry scales, they are not slimy. A snake’s tongue is a sense organ, just like an insect’s antennae. Therefore, when a snake thrusts its tongue, it is simply trying to find out about its surroundings and what is going on. They are the only creatures that can swallow objects larger than themselves. This is because they have elastic body walls. Snakes have an extra bone hinging the upper to the lower jaw, which allows them to spread widely when swallowing an object. The noiseless and graceful movement of the snake is brought about by the crosswise plates of the snake’s body that is connected to the ends of its ribs. This life cycle material is for FREE and you can download it from my SCIENCE PRINTABLE PAGE. So we looked into the process of how snakes give birth. We also learned that NOT ALL SNAKES GIVE BIRTH BY PRODUCING EGGS. ANACONDAs give birth to their young! So I gathered a list of snakes and we looked at them over the internet. I didn’t produce any printable file as the images are all copyrighted. But I provided the link below on where you can find them, and see how they look like or learn about their habitats. We are continuing on our study of animal identification and learning more about their characteristics. After watching Deadly 60 series of Steve Backshall, we discovered that you can also identify animals by the tracks they make! So we used our favourite Schleich animal figures to test this. We randomly dipped the animals in the black paint and freely made tracks. Vito’s helping as well! The tracks and trails an animal leaves can tell us the type of animals it is and whether it was walking or running, and you can also tell if it was by itself or with a group of other animals. Footprints of animals are very tricky to identify unlike that of humans! But by thorough investigation, you can tell if the animal is hoofed or with paws or toes. To learn about the footprints of these animals, one must have a proper observation for these unique characteristics. Did the animals walk on 2 or 4 feet? Does the animal left a large or small track? Was it walking or running? Was it just one animal or followed by another? Raccoon and bear have 4 toes front and 5 toes rear, they have claws. And the highlight of this lesson is for them to see how their footprints look like! Here are the featured animal-themed activities for this week! I love unplanned activities. Mavi would always resort to this activity whenever he’s bored on Fridays (swimming lessons were moved to Saturdays). I like that he can do this activity independently, while learning the important characters of animals that belong in each group. I believe that it is important for the child to have a clear and defined idea of the classes in the animal kingdom and its division. What’s important to me is to have him gain the knowledge through this activity rather than reading and memorizing the difference in the books. Vito is in to matching these days! Whenever he sees an object that has a match on books, he would immediately get it and put it together. We started matching activities earlier with our Farm Animal Activities, and since we moved to zoo animals, I also created a set of matching cards for our figures (all Schleich images). So far we’re only using the tiger, jaguar, alligator, hippopotamus, elephant and lion figures. The basket is setup in our shelf, and he loves to work on it in the morning. He would help himself by setting up the rug and work on his matching activity. If you’d like to own a copy, click on any of the images or here. Enjoy! We’ve been seeing worms a lot lately in the yard. And I have to be honest here, I never really liked them! In fact, I am terrified of worms! But the boys seem to be pretty amused with these creatures. So while we are seeing them around in the garden, I took out our earthworm life cycle figures for us to explore (which my Aunt brought when they came here to visit). Before heading to the life cycle of worms, Mavi and I read about earthworms on the net. Here are some facts that we found fascinating about worms! There 6,000 species of worms worldwide! They breathe through skin as they have no lungs. They are both male and female, which means they produce sperm and eggs. This is known as hermaphrodites. They need water to survive. When the worm’s skin dried out, they will die. Earthworms are mostly 90% made up of water. Wow! Now, I made this materials, similar to my Animal Life Cycle learning resources. I love this approach as Mavi can retain so much information on presenting the life cycle this way. You can download a copy of the Worm Life Cycle here. And because I can’t take earthworms indoors nor conduct a hands-on learning on earthworms anatomy, we used our worm figure instead to examine the parts of an earthworm. Click here for a copy of the Worm Nomenclature Cards. And because I wanted to integrate Vito into our activities, we made some wormy meal (unhealthy!). I made Vito hammer a few Oreo cookies… and use it as soil. Then we added some wormy jellies for everyone to feast on! For this week, I’d like to feature amazing printables that I’d like to try for my kids! These are created by generous mothers who wanted to share with us what they are currently using in their own home school. Thank you so much for these Moms!